The red and yellow block don't look pleasant for eye. You can also see a cutoff at the beginning of auto-scrolling section. I didn't edited it's GFX. 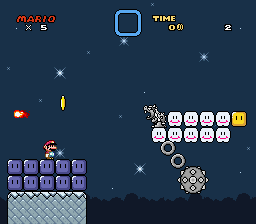 If you mean Grey ones, they're custom sprites. You can buy lives. 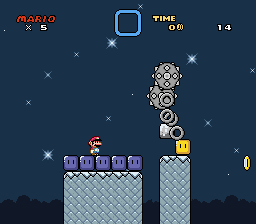 I'm also thinking about level skips, additional unlockable content (unused stuff (if there'll be any)), Music Room, etc. I'd like to update BETA version, but not sure, because previous version is still being tested, and I don't want to disturb testers. You can make level skips simply. 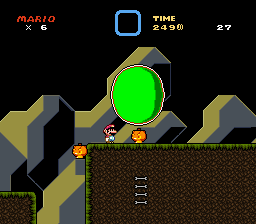 You just add a door or a pipe in the beginning of the level, apply the exit to the level with a goal orb and BOOM! 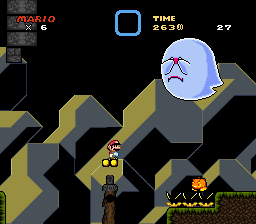 your level skip is done. Also neat idea with lives shop. You can make level skips simply. 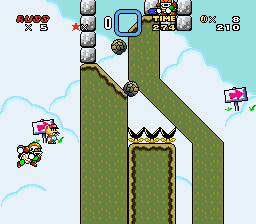 You just add a door or a pipe in the beginning of the level, apply the exit to the level with a goal orb and BOOM! 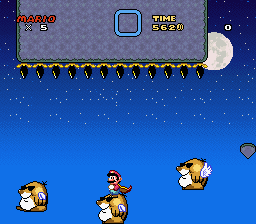 your level skip is done. 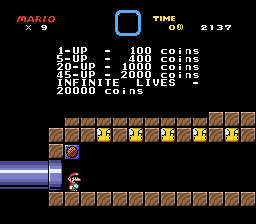 I thought to make player to pay if he/she want to skip level. I think for 200 coins. Also neat idea with lives shop. I dunno what to say. 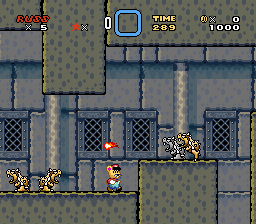 Main enemies here are buster beetles. I need to fix some issues with them. 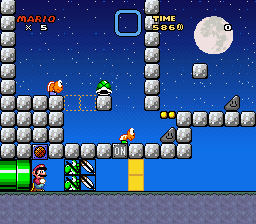 It's supposed to be longer, but blocks that make you slide right are broken. You're so underrated, I don't even know why. 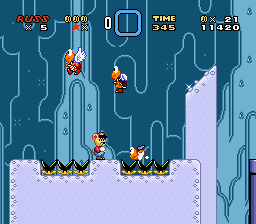 Anyways, I like the level and the gimmick. Motivates me to play the full version. You're so underrated, I don't even know why. 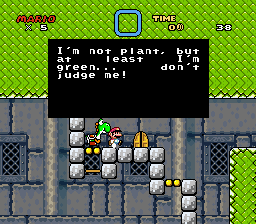 Anyways, I like the level and the gimmick. Motivates me to play the full version. 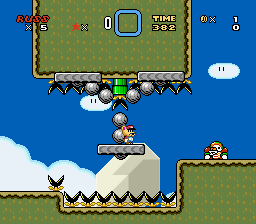 This level is based on various flyin'/jumping enemies. 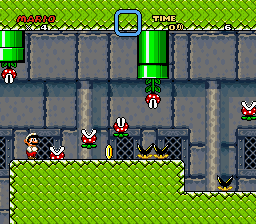 Main Level based on flyin' Footbals, secret on moles, and secret secret (yes, it's still 3-exit level) on Jumping dry bones and 1-way on/off blocks. 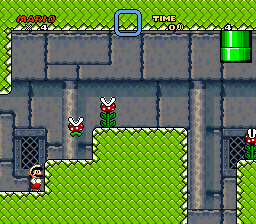 Since I have a few issues main level, and I didn't really started working on secret-secret sublevel, I'll show secret sublevel. And yes, 3rd screen looks a little flat, I'll fix that. Why I'm reposting something that I posted on discord a while ago? Because I'm lazy. 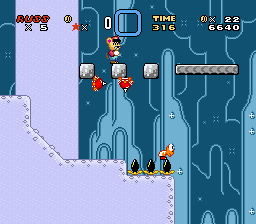 Also, that level have "Follow That Shell" bonus game, just like in VIP 1, except it's totally optional. And easier. And shorter. 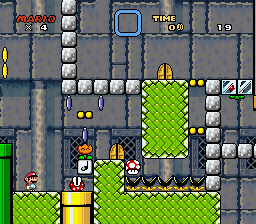 All Rooms in this level gonna be vanilla with minimum of custom elements (custom map16 tiles counts). 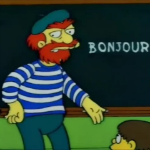 Room 1. Room with Line Guides, And Grinders. And it's frozen. 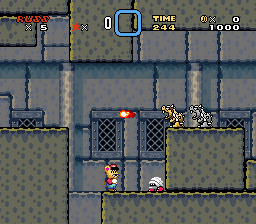 It's a pretty dangerous room. Room 2. Plants everywhere. Also, puzzles with them. 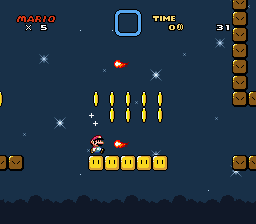 Title screen level is WIP, I'll upload video about title screen when I'll finish it. 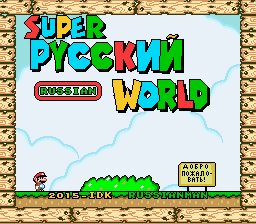 Thanks goes to Pixel-Gon for "РУССКИЙ" GFX. 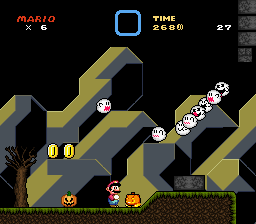 Since it's Halloween atmosphere here, I decided to finish room 5 from "HOUSE OF MANY WAYS". 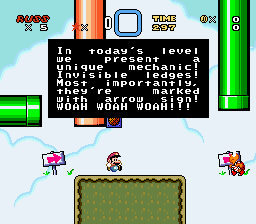 You most likely don't know what that level is about. 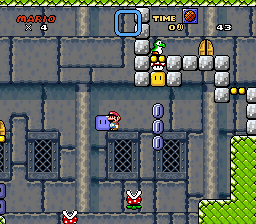 In short it's a level with 5 rooms, one of them is goal, 4 others for Dragon Coins. To get secret exit, you must collect all of those. More details in my discord server. Anyways, that "room" isn't anything special. Just ordinary graveyard. 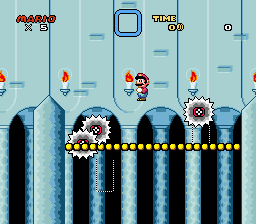 And also, why not to post room 4 from "Finally"
It's a pretty tricky level with autoscroll. That's it. Have a nice spooky day! E: 6th Post in the row. Sniff Sniff smells like a huge bump! Long story short SRW isn't cancelled, but I didn't work on it for ages. 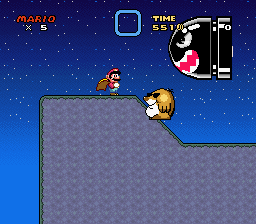 For now I'm porting things to new rom. 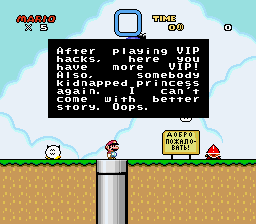 Meanwhile I'll be working on "Prologue", which is a mini hack with the same VIP style. 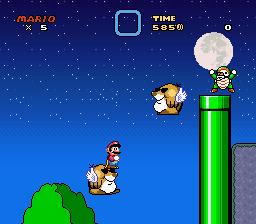 That Mario sprite is... disturbing. But nice to see that this hack is still alive and know that it was just comatose this whole time. It's got some interesting stuff. Also, one of the message boxes says "I'm so exited." 'Excited' would be what you're looking for. 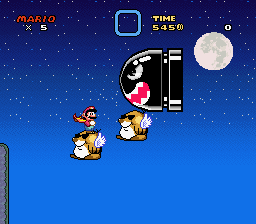 Mario's sprite in one of those pics, or replacement? What's disturbing anyways? 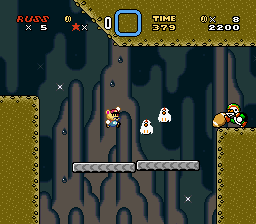 Anyways, first level is a cave level that presents some common cave themes. And Layer 2 part which I didn't finish. To be continued! 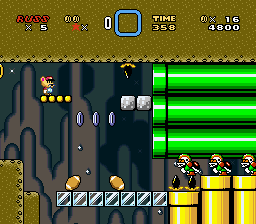 That muncher near the green pipe in the second screen makes the setup unnecessarily tight. I'd get rid of it or move it to the right. 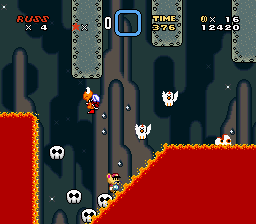 Also, the bats have a weird palette. 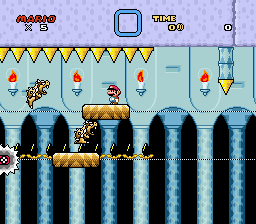 You might want to restore their original color, unless some other sprite had to use it. 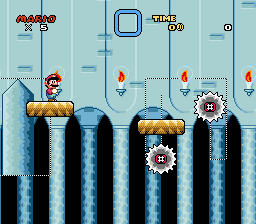 I can't tell how the level plays from the screenshots, but I presume it's very well designed! 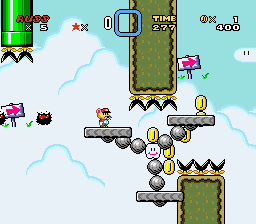 It's nice to see all yours levels have some sort of gimmick that gets used and played around with. Keeps things fresh and exciting knowing each level will bring something new to the table. 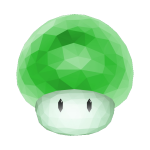 Also that Player GFX is amazing. 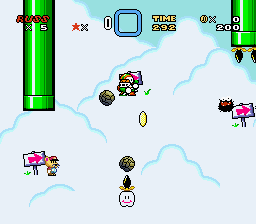 Player is supposed to hit invisible ?-blocks while boping on footballs. I don't see it unnecessarily tight, form a bridge and duckslide under (assuming you're big). Because they're supposed to look like chickens. Thanks! Glad you like new character GFX. 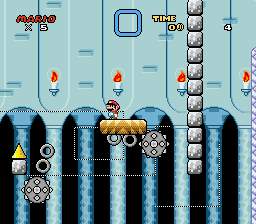 Now first level ends with layer 2 section. 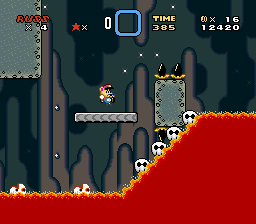 It's much shorter than previous sections, but it's also quite difficult. With forth level being Platform Action! comes, well, platform action! 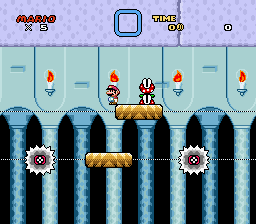 It was one of those levels that I posted random pics of.